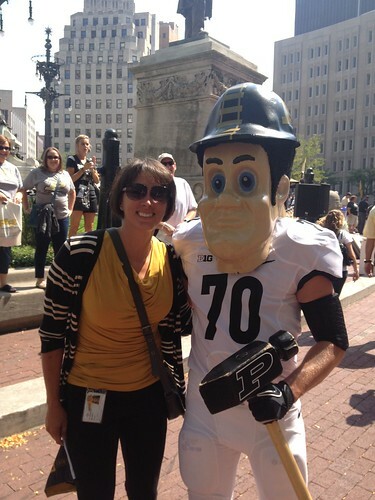 Mayor Ballard proclaimed 08/30/2013 was Boilermaker Tailgate day! 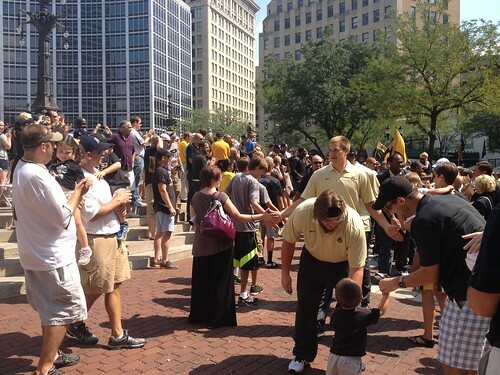 I headed the few blocks from work with fellow alum to check out the sea of black and gold @ the Circle. The event was a super-sized pep rally sponsored by the Boiler Business Exchange of Indianapolis to send off the football team as it headed to Cincinnati for the season opener the following day (not a good outcome FYI). 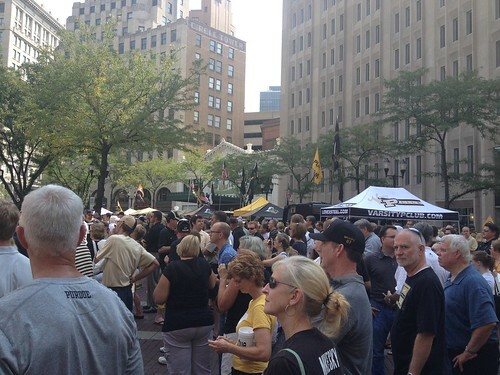 The Tailgate included past players from football and basketball, along with the entire current football team, first-year head coach Darrell Hazell, cheerleaders, pep band, Purdue Pete, and the Boilermaker Special. But my favorite guest was Mr. Robbie Hummel! 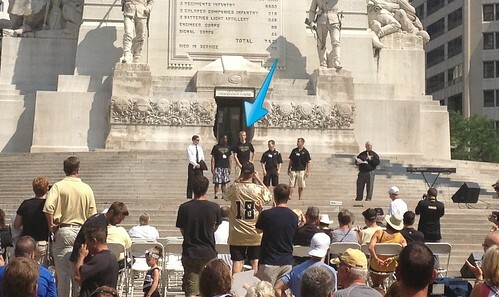 To which I yelled without pause “I LOVE YOU ROBBIE HUMMEL!” Finally, the football team arrived atop the Monument steps then came down to greet the fans. NL said he was going in for the handshake with the new coach. I barely got the video ready but got the money shot! It’s been over 5 years since we had our pic together. I felt it was time.